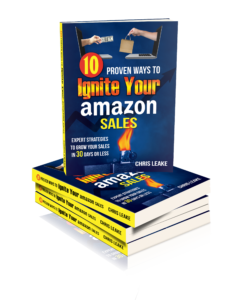 You want to sell as much of your product as possible on Amazon. But if your product isn’t appearing everywhere it should appear in Amazon search results, I can guarantee that you’re missing out on sales you would otherwise be making. In today’s episode I’ll show you how to make sure your product is appearing in relevant Amazon search results. Whatever words a customer searches must appear somewhere in your product listing. The words must not only appear in your product listing, but Amazon must be indexing your listing for the search term(s) in question. Most Amazon customers find your product by doing a search. If the words they search for aren’t found in your product listing AND indexed by Amazon, your product will not show up in search results. Come up with a list of relevant keywords for your product. Put the most important keywords in your product title. Put as many of the remaining important keywords that don’t fit in your title into your bullet points. Put whatever keywords you naturally can fit into your product description. Any keywords that don’t fit in your title, bullet points, or product description, put in the ‘Search Terms’ fields in the back end of your listing. Make sure your product is being indexed for each of the search terms on your list. Add any keywords on your list that aren’t being indexed to the Search Terms field in the back end of your listing, even if they appear in the front end of your listing. Wait an hour, then check again. Between now and the end of 2017, we’re offering a holiday special on our Keyword Maximizer service, so you can improve your listings and make more sales during the holiday season. We will look at your product listings, do thorough keyword research, make sure your most important keywords are in your product titles, bullet points, and back end, and then make sure your most important keywords are being indexed. Normally we charge $250 per product for this service, but right now we will do up to 3 product listings for $500, and any additional products are just $200 per listing. This special will only last through the end of 2017 though, so take advantage while you can! To request the Keyword Maximizer special go to our client application (http://ecomleverage.com/client-application), and where it says ‘Anything else we can help with’ just put “Keyword Maximizer Holiday Special”. Finding out which customer left a particular product review (so you can follow up) UPDATE 11/8/17: Due to a recent Amazon change, this tool no longer works. Instead, I have added a tool to the list that lets you ethically spy on your competition by finding out what keywords their products rank for.